You are here: Home » Why not go to Bulgaria, instead of Spain? The country on the Black Sea is best known for all-inclusive beach holidays. But those who travel inland to the coastal region will find a country largely untouched by tourism. In July, as in many places on the Black Sea coast, up to 2000 people gather in Kamen Bryag. This number is given by house owners which are around only 100 inhabitants. The invaders celebrate with concerts the sunrise then as in the days of the hippies who lived in the caves of the 20-meter high cliff in the seventies. It may be dangerous. A wooden cross and a memorial stone on the demolition edge are reminiscent of it. Tourists without a hippie background are hardly getting lost in the area. They are mainly from Romania, which is just 35 kilometers away. “Only Romanians and now Germans too,” says Gergana Ivanova before she gets into the car with her mother to shop for the hotel guests. Bulgaria is an alternative to Spain or Italy! Why not even Bulgaria? On the beaches of Spain, Italy, and Greece it will be full this summer – while Turkey continues to be avoided by many tourists with the fear of attacks. An alternative destination which is increasingly becoming the focus of attention is Bulgaria. But also detached from current sensitivities, the EU country on the Black Sea has more to offer than a bed in guest houses and cheap liquor, which so far attracts mainly package tourists. Between the 70-soul village Kamen Bryag and the limestone cliffs at the sea, a green grass carpet expands, it blooms in red, yellow, violet. Above it, a wide sky appears clearer and bluer than anywhere else. A short coastal walk leads south of Kamen Bryag to the Jailata archaeological site. In addition to the walls of a Byzantine fortress from the fifth century, the caves are very interesting – they should be more than 100. In one, the monk who lived there even built a small church. But the really impressive thing is the landscape again and again: the vastness and the emptiness. The visitors can be counted on one hand. Halfway between Jailata and Cape Kaliakra, which stretches two kilometers into the Black Sea like a 70-meter high wedge in the eponymous natural park, the cliff has a gap. There lies, like a sickle of sand, the small beach of Bolata. Directly behind is a “wet zone”, as it is written in Bulgarian, Russian, English and German glossy brochure of the nearby town of Kavarna. It was “especially rich in bird species” -, especially during bird migration. More than 150 species then rest here, you can read. The steppes of the Cape Kaliakra and the wetlands of the northern Black Sea coast of Bulgaria have long been in the catalogs of tour operators who specialize in birdwatching. Adventurousness and, above all, a good sense of direction are also required in the forests of Bulgaria. Although there are designated hiking routes in the Strandja Nature Park and also in the Zlatni piasaci Nature Park, whose ridges ascend directly behind the bed castles advertised in Germany as Goldstrand. But there is a problem here as well as there: The money from the EU regional support has obviously not been enough for more than a few information boards at the bus parking lot in front of the well visited Aladzha rock monastery or the square in front of the church of the museum village Brashlyan. Whether blue, red, or yellow route: After a few hundred meters, the signposts lose themselves in the forest. You are surrounded by beautiful forests. Strandja is the largest natural park in Bulgaria. The hilly landscape, which runs through rivers, stretches along the border with Turkey to the Black Sea. The dense forests of beech, sessile oak, and evergreen laurel family are today a retreat for many rare animal and plant species. This can also be said about the Sinite Kamani Nature Park. The “blue stones” – the name in English – represent the eastern foothills of the Balkans. The more than 500-kilometer-long mountain range that gave its name to southeastern Europe divides Bulgaria into a northern and a southern half, which are very different. Towards the north in the direction of Romania, the land becomes ever flattered towards the Danube plain. In the south another mountain range, which also is up to more than 2000 meters high, Rhodopes, separates Bulgaria from Greece. Sinite Kamani can be reached from the port city of Burgas in two hours by car via one of the two highways in Bulgaria. From the information center of the nature park on the outskirts of the industrial city Sliven, a path leads into the 1000 meter high mountains. Bulgarian rock music roars out of the nature park house. There are 180 bird species in the nature park. The feathered stars are the vultures, which one just settles again. After three hours of solitude between forest and rocks, the destination is reached: the resort of Karandila. Better: two open pensions, a handful of closed facilities plus an abandoned holiday complex from socialist times. In addition a radio mast, before the start ramps for paragliders over the rocks in the nothing lead to an old chairlift. In the Alps, such an old plant will probably no longer be in operation. Here, nostalgics can hover with it still gene valley. 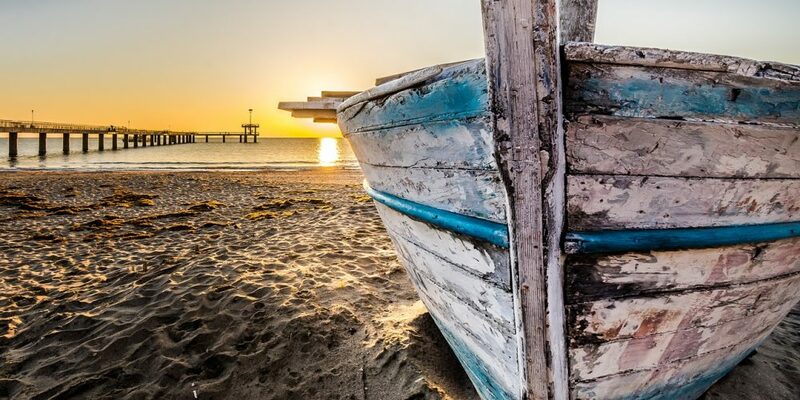 How to get there: If you want to travel to the hinterland of the Bulgarian coastal region, you can head to Bourgas airport, for example with Bulgaria Air or Varna Airport, such as Eurowings. Infrastructure: The coastal regions of Bulgaria offer themselves for outdoor sports such as hiking, climbing, mountaineering, cycling, horseback riding, rafting, canoeing, kayaking, and paragliding. On the coast, there are surf schools (wind and kite surfing). Also, diving is popular, but rather something for connoisseurs: The underwater world of the Black Sea is low in species, but due to the isolated position of the sea has a special character.